Weedi has found his forever home with Muriel and her family. We are so happy to have been able to help Weedi find his forever home, and give his family peace of mind in knowing that their precious dog was in the best of care. 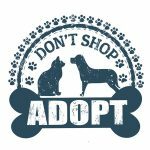 Need to Rehome a Dog in Seattle? 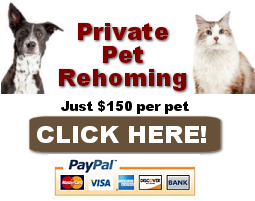 Contact 0ur Pet Rehoming Coordinator, or Request Seattle Dog Rehoming services now. Hi, My name is Weedi! Weedi is a Lab/Chow Chow mix for adoption in Seattle, Washington. He is 3 years old and weighs 90 lbs. He is loving, smart, obedient, playful companion that loves children and gets along well with other dogs and cats. He is neutered, vaccinated, micro-chipped and very healthy. Supplies will be included. Weedi has been obedience trained and is extremely well behaved. Weedi’s owners are moving overseas and cannot take him along. Weedi is very friendly to humans and other dogs. He loves being around humans and he sleeps next to my bed every night. He loves cuddling and very treat motivated. He is good on leash and very obedient. I can leave him at home all day without worrying that he would chew up my furniture. Weedi is a good boy, and he deserves a caring home to be with. I feed him twice a day. 1 cup in the morning around 8 a.m. and 1 cup at night around 9 p.m. I am moving out of the country and unable to take my Weedi with me. We’ve been together for 3 years since he was just a puppy. I’m looking for a new caring and loving home for him.